توت Toot (mulberry) is the sweet fruit of the mulberry tree. The black mulberry fruit is called shahtoot (king mulberry) in Persian. Toot Badami is a Persian-style marzipan mulberries made of a mixture of ground almond and sugar molded into the white mulberry fruit. 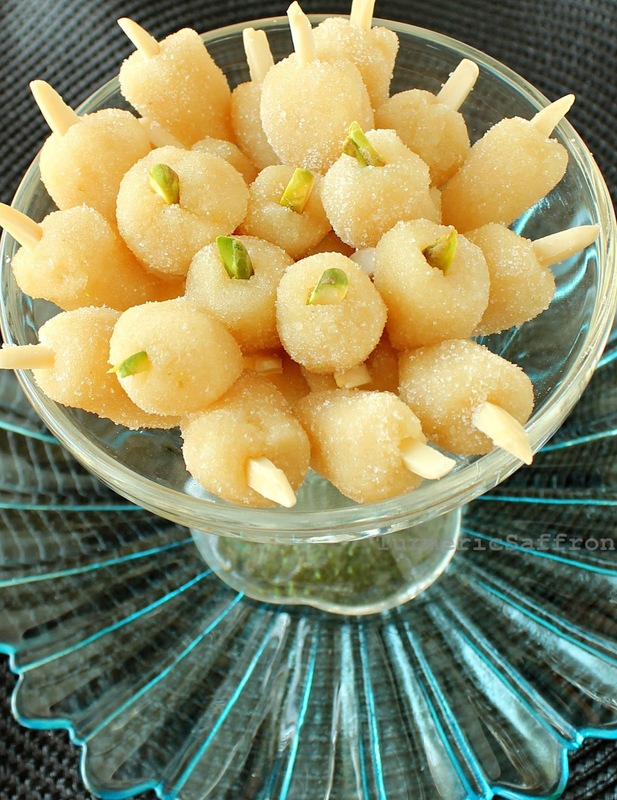 Toot is traditionally made for Nowruz (Persian New Year) and wedding ceremonies to bring in the sweetness. This is a simple and quick sweet that doesn't require baking and is made with only a few ingredients. It's also something fun to make with your kids for special occasions. If you grew up in Iran you most likely have a memory of either climbing up into the mulberry tree, shaking the branches and/or excitedly collecting the ripe fruits. In spring time, when I pass by the mulberry trees filled with white, red or black fruits on the trees on my way to the park where I live, a small town on Long Island, I can't help but think of the joy and the memories of picking mulberries as a child. Fresh, ripe mulberry fruits are sweet and juicy. White mulberries are usually sun-dried and served along with tea as a milder, healthy alternative and delightful sweetener. They are the preferred sweets for those who need to control their sugar intake. White mulberry leaves are the main source of food for silkworms. 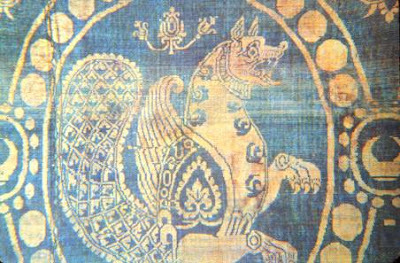 Planting mulberry trees and producing luxurious silk had been encouraged many centuries ago since Persia was one of the countries along the trade route from China to Europe called Jadeh-Abrisham (The Silk Road). Some of the towns on the route include, Kermanshah, Hamadan, Ray, Yazd and Nayshabour. 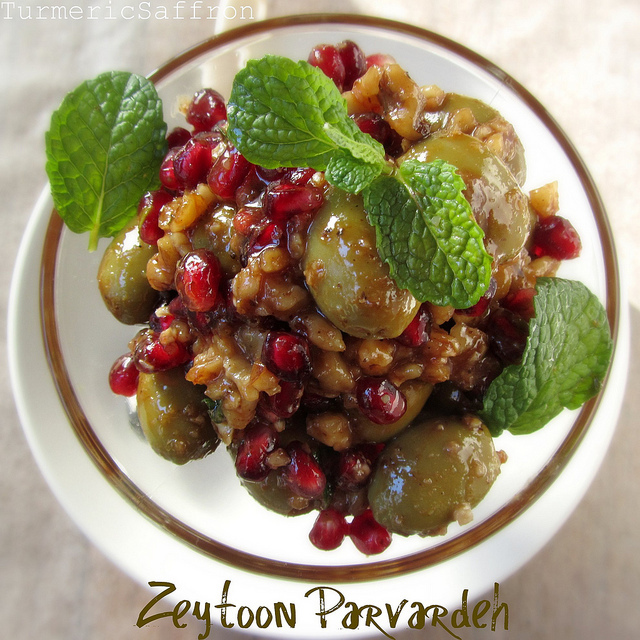 This recipe was adapted from The Legendary Cuisine of Persia by Margaret Shaida. For a more festive and beautiful look, add a few drops of organic all-natural food coloring. In a bowl combine ground almonds, confectioners sugar and cardamom powder, mix to combine. Gradually add the rosewater, one tablespoon and a time, blend in until well incorporated. Mix the ingredients into a soft paste. Take a small piece of the mixture, form into a ball and shape into a toot (mulberry). Place each toot on a plate and sprinkle with granulated sugar, covering all sides. Place a slivered pistachio or almond on top of each toot. Arrange on a candy platter and serve. I have seen these confections at the Persian grocer and been tempted more than once! Toot is the name for mulberry in Arabic, so maybe it comes from the Persian name. I love mulberries and in Lebanese cuisine we make a syrup with the purple ones, delicious and really good fro one's digestive system too! Love your confection today, very refined, but then so is Persian cuisine. Persian cuisine will never stop to amaze me! These marzipan mulberries are something so pretty, delicate and they must taste so good! Yum, sounds simply amazing. Another incredible recipe Azita. Those are delicious treats. I really love them. Hello, I have questions about the toot recipe. During the very first step of the recipe,do you use both kinds of sugar, or only the confectioners sugar? During third step what kind of sugar is use? Ladan, I have made the necessary corrections to the recipe. During the first step of the recipe use only the confectioners sugar. During the third step, use regular white granulated sugar. You can purchase almond powder at shopping markets such as Whole Foods to eliminate the almond grinding process. Just mix the sugar, cardamom and rose water and you're done! Just made these today, and they were exceptional. I will be bringing these to the office tomorrow to let my coworkers try them. Thanks for the recipe! It's impressive and so easy to make. This tree you mention we call it "dud" in Romania. I love your blog and from you i learned to cook Persian dishes for my husband. Thank you very much! Amazing recipe. Made them on Tuesday and took them to work the next day to serve during a presentation I gave as part of company's cultural diversity program. They were gone in no time. Got very good feedback and passed the recipe to a couple who asked for it. Although rose water is the dominant flavor, the hint of cardamon that i felt at the end was awesome. best of all, so easy to make. I could not get the shape right so left them as cylinders. That’s what I was exactly looking for! This Inexpensive but yummy party desert ideas are great. There are quite creative too. I am planning to throw a small wedding party at one of wedding venues Los Angeles. Thanks for such a lovely recipe! DJ, I've never tried it with a dried mulberry fruit in the center. Let me know how it turns out. Thank you. I have made toot adding a few black mulberries from my tree to color the toot. The added flavour and natural color makes it exquisite.